Complete your patio space with the elegant Galtech Cafe 7.5' Wood Patio Umbrella. This is the perfect size for your smaller open-air space or for use in groups to shade larger areas. This patio umbrella is sure to endure from season to season with its marine grade varnish that is applied in 6 layers to seal the wood. With its wide selection of colorful Sunbrella and Suncrylic fabrics this patio umbrella is sure to fit nicely with any decor. 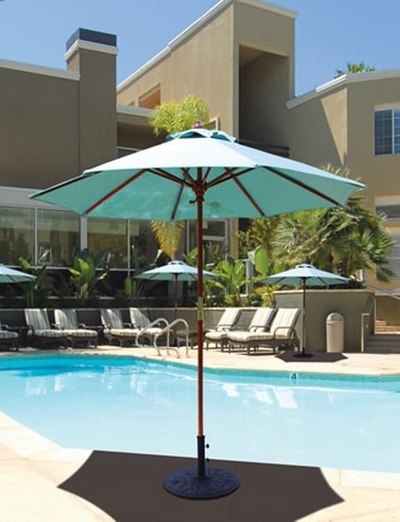 A decadent design and simple to use this quaint umbrella is perfect for your outdoor environment.